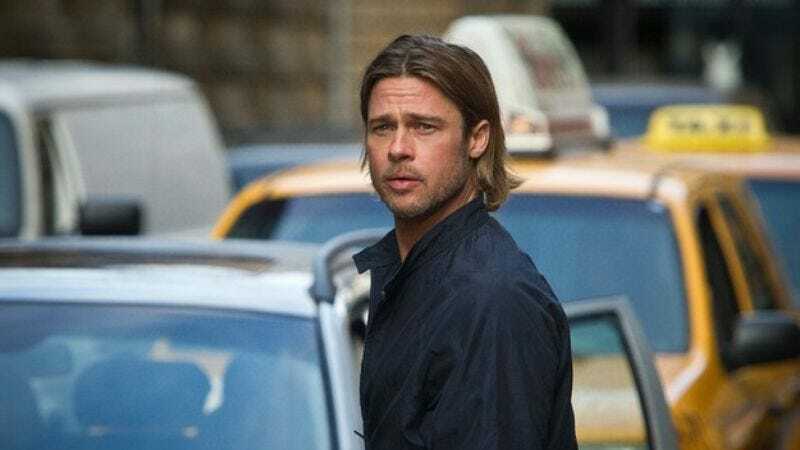 Flush with success at the box office, Paramount has announced it's working on a sequel to the Brad Pitt-vs.-zombies blockbuster World War Z. The project was originally intended as a trilogy, was then scaled back to a single movie whose production was nearly scrapped after a troubled shoot, only to see the movie bounce back to become an unexpected hit—so pretty much anything could happen at this point. Still, the film's $66 million opening weekend was enough to convince the studio that perhaps people will go to see a movie with Brad Pitt in it after all. No word yet as to what the storyline would be in a sequel. Might we suggest a series of vignettes about a diverse group of characters scattered around the world, their stories providing an oral history rife with social commentary to balance out the action and feeling of dread? Perhaps based on this book, which bears little to no relation to Pitt's film but would make one heck of a movie?